Congregationalists share Calvinistic doctrinal inheritance with Presbyterians, but differ in their form of church government, believing in the autonomy and independence of each congregation to draw up its own articles of faith and government. Congregationalism was taken to the New World by the Pilgrim Fathers. In the 17th century Congregational clergymen returning to England from New England stayed in Newfoundland for short periods. Following the Stuart restoration in 1660 the term "dissenters" was applied to those Presbyterians, Baptists and Congregationalists who refused to assent to the doctrine of the Anglican Book of Common Prayer. The Congregational Church in St. John's was founded in 1775, when John Jones, a bombardier with the Royal Artillery, returned to St. John's with his company. Born in Herefordshire, on the border of England and Wales, John Jones had led a dissolute life until, during his first period of duty in St. John's, from 1765 to 1773, he had had a spiritual experience caused by seeing a soldier die blaspheming. In 1775, aged 38, entitled to a separate room in his barracks because he filled the positions of serjeant-major, quarter master, pay	master and clerk, he began to hold social worship there with six people attending. They drew up articles to govern their faith and held meetings in the Court House on Wednesday and Sunday evenings. When this was denied them the "small society" met on the barrens. The Congregational Church in St. John's was founded in 1775 by Jones. In 1779, he became its first minister. From Evangelical Magazine, Toronto, 1800. With members increasing (one new member was Nathan Parker from Malden, Massachusetts) a small Meeting House was built in Spring 1776. Governor Montagu threatened to send Jones to Placentia and pull the House down, but found that the ground lease was legal. Its location is unknown, but it was probably built on army land near Forest Road. In 1778 John Jones returned to England with his Company. 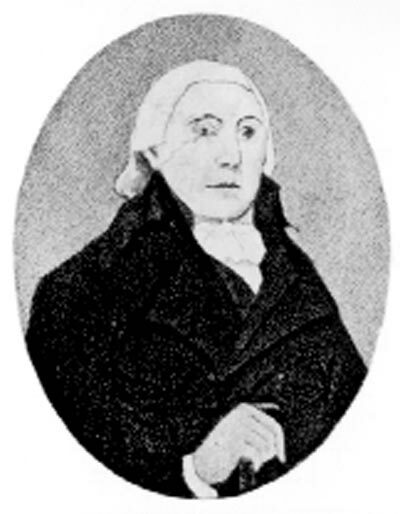 In accordance with the wishes of his congregation, he resigned from the Royal Artillery and was ordained by a presbytery of dissenting ministers in Plymouth, returning to St. Johns in 1779 as the first minister of the Dissenting Church of Christ, the second oldest congregation of St. John's. Both the Anglican minister, Edward Langman, and Governor Edwards were opposed to the new dissenting minister, but following a petition supported by prominent merchants and by Colonel Pringle, the Chief Engineer, the sacrament of the Lord's Supper was celebrated in the Meeting House in October 1780 and John Jones was granted his licence as a dissenting minister in 1781. When Governor Campbell granted a 'free liberty of conscience' in 1784, a small silver inscribed cup was sent by the Dissenting Church of Plymouth to the Dissenting Church of St. John's. Growing numbers, the establishment of a charity school and fee paying school (at which John Jones taught until his final years), and encouragement from friends in England, led to the building of the second Meeting House (on the site of the L.S.P.U. Hall on Victoria Street) in 1789. A large part of the funding was raised in England. Subscription lists can be found in the Journal which John Jones began in 1781. Correspondence with the Roman Catholic Bishop O'Donel, recorded in the Journal, reveals a cordial relationship. Jones preached regularly at Quidi Vidi, and held services at Portugal Cove and Torbay. He died on March 1 1800, having suffered a paralytic stroke earlier. The congregation continued to be served by Congregational (or Independent) ministers from England, most of whom stayed only a few years. During the ministry of the Rev. W. J. Hyde, 1813 to 1816, a Missionary Society was established with branches at Carbonear, Brigus, Port de Grave, Grates Cove and Twillingate. Following the departure of some prominent members to the United States after the fire of 1817, including Nathan Parker and the Rev. James Sabine, the Meeting House was without a minister for two years and the congregation dwindled. There was a revival during the ministry of the Rev. D.S. Ward (1824-1843). Repairs to the Chapel (as the Meeting House was now called) were undertaken. In 1833 it became legal for marriage ceremonies to be performed. The first to be celebrated was that of Thomas B. Job to Jessie Carson, youngest daughter of Dr. William Carson. The Rev. Mr. Ward lamented that Petty Harbour, Portugal Cove and Torbay had "fallen into other hands", but he was responsible for the building of a church and school room at Quidi Vidi in 1834 on an ecumenical basis, sharing with Anglicans and Wesleyans. The venture lasted until 1842, when the property was taken over by the Anglicans and a new church, Christ Church, was built. Ward collected £1,200 in England for a new chapel, but his death in 1841 intervened, and it was not until the ministry of the Rev. George Schofield (1849-1857) that the move to the Stone Chapel on Queen's Road was made. The Hon. Joseph Noad, chairman of the Building Committee, presented the trowel to Thomas Bulley Job M.H.A., for the laying of the corner stone in 1851. The Rev. Charles Pedley wrote his History of Newfoundland (1863) during his ministry from 1857 to 1864. The move to the Stone Chapel on Queen's Road took place while Rev. George Schofield was serving as minister in the mid 1800's. Original drawing by W.R. Best. From Charles de Volpi, Newfoundland: a Pictorial Record (Sherbrooke, Quebec: Longman Canada Limited, ©1972), 75. In 1870, under the guidance of an enthusiastic Irishman, Rev. Thomas Hall, a Congregational Home Missionary Society was formed. Missions were founded in Trinity Bay at Smith's Sound and Random Island (1871), in Fortune Bay at Belleoram, Pool's Cove and Little Bay East (1875) and at Twillingate (1877). (Earlier, in 1799, Rev. John Hillyard, in response to a petition from dissenters in Twillingate, had established a mission, a day school and a night school there.) In the 1880's the mission established by Canadian Congregationalists at Bonne Esperance in Labrador became the responsibility of the Home Missionary Society. A Training School was established in St. John's in 1874 to train teachers for the Missions. By 1877 there were two Congregational School Boards. 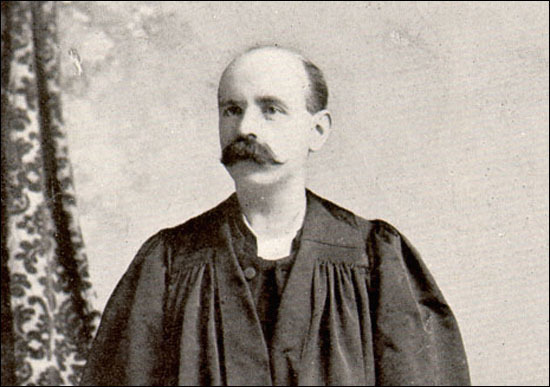 In 1904 the Rev. Hugh J.A. MacDermott arrived at Pool's Cove. New churches were opened at Belleoram in 1906, at Little Bay East in 1909 and at Pool's Cove in 1917. Four missions and three missionaries were being supported in 1892 by the congregation on Queen's Road. But by the evening of July 8 only the walls of the Stone Chapel were left standing, after it had been engulfed by the fire which destroyed most of the city. The second Meeting House on Victoria Street, latterly known as Temperance Hall, also burnt down. The Journal, baptismal and other registers and documents, were at the Training School on Monkstown Road and escaped the fire. The Rev. 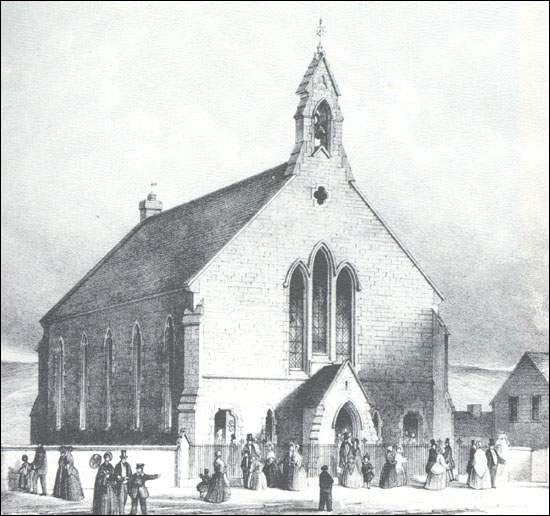 Ward Siddall's fund raising efforts in England, the United States and Canada helped the congregation rebuild and Queen's Road Congregational Church was	dedicated on September 15 1895. From 1902 the leading light of the harbour has shone from the spire of the church, though now from a church building converted to condominiums. Queen's Road Congregational Church was built after the great fire of 1892 destroyed the Stone Chapel and the second Meeting House. From Moses Harvey, Newfoundland in 1900. (New York: South Pub. Co.; St. John's, NL, 1900), 117. Ministers continued to be appointed from the Congregational Union of England and Wales until 1926, when Rev. D. L. Nichol, under whose guidance the 150th anniversary was held, returned to England. Unable to secure a minister from the Congregational Union, three ministers from the new United Church of Canada served for six years, and finally, the Rev. Joseph Thackeray, previously minister from 1897 to 1912, returned from retirement in 1932. Thackeray, a previous minister of the Congregational Church in St. John's, came out of retirement in 1932 to serve again when the church was having difficulty maintaining a minister. From Moses Harvey, Newfoundland in 1900. (New York: South Pub. Co.; St. John's, NL, 1900), 116. In 1936 a committee appointed by the congregation met with a committee appointed by the Session of St. Andrew's Presbyterian Church, to explore the possibility of joining the Presbyterian Church in Canada. 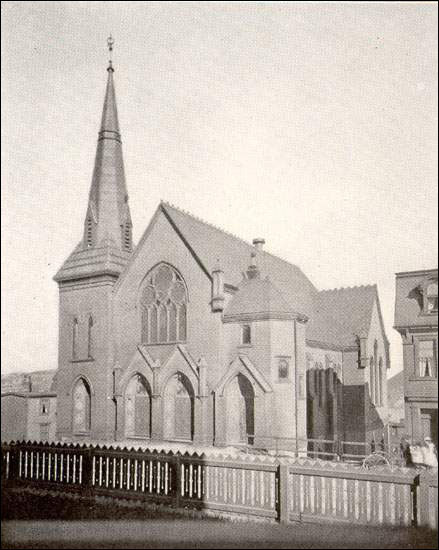 On March 8 1937 the congregation voted to accept the proposal, and on October 27 1938, after 163 years as a Congregational church, Queen's Road congregation was received into the Presbyterian Church in Canada. (In the year 2000 the congregation of the Dissenting Church, now St. David's Presbyterian Church, celebrated its 225th anniversary.) The Congregational Home Missionary Society of Queen's Road had relinquished supervision of the Fortune Bay Mission in 1925 to the Colonial Missionary Society of London, and the Congregational School Board ceased to exist in 1942 when the Fortune Bay Mission and schools became part of the United Church of Canada.